Thanks for visiting KidsEBookBestsellers.com. For five years, from November 2011 through November 2015, I compiled a weekly bestseller list from the internet's most popular e-bookstores. Then I contacted the authors for interviews about their top ten success. Check out the Author Index page for the full list of authors. Now that e-publishing is firmly established, I've discontinued the weekly lists and interview. But this site will remain. With over 230 author interviews, it will continue to be a source of insight and information for anyone who is a fan of books for children and young adults. So have a look around and enjoy "meeting" these successful authors. Stop by my website to see what new things I'm working on these days! On October 24th Quest for Justice by Sean Fay-Wolfe hit the number 4 spot in the Kids' section of the Barnes and Noble Nook store. Quest for Justice is book 1 of 3 in the The Elementia Chronicles series unofficial Minecraft-fan adventure books. Sean says, "The story stays true to the game while being packed with action and adventure." 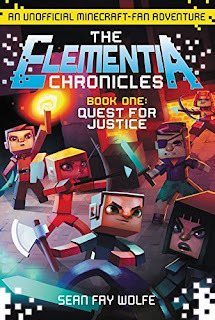 Quest for Justice takes place in an online Minecraft world called Elementia. A new player named Stan2012 joins the game, with no idea how to play. He makes some new friends travels to a village where he learns in a boot-camp-style program how to play the game from the older players. However, he soon realizes that many of the older players don't want any more new players to join Elementia, because they want to keep the few remaining resources around the server's capitol, Element City, for themselves. When the King of Elementia passes a law banishing all new players from the city, Stan and his friends set out on a journey across the world of Minecraft to fight back against him. They learn how to play the game as they look for resources and raise an army, meeting many colorful characters on the way, all in the name of bringing justice and balance to Elementia. After receiving positive reactions from my family to Quest for Justice, I decided to try to get it published. First, I wrote to several publishing companies and to the creator of Minecraft himself. Not really to surprised that no one jumped at the opportunity to work with a 16 year old, I decided to self-publish. I used CreateSpace, a company that published the book for free but didn't provide editing or marketing services. The book was initially edited by my mother and I, and we marketed it through a social media campaign and visits to schools. I also joined the Association of Rhode Island Authors, along with several other author support groups, to try and gain more exposure. One event organized by ARIA put me in contact with Judith Rosin who worked for Publisher's Weekly. I ended up doing an interview with her which resulted in an online article being published about me . This article, in addition to the growing popularity of the series in my home state of Rhode Island, lead my current agent to approach me, which lead to me signing a three-book deal with HarperCollins in early 2015. While we have marketed through social media, and through more traditional methods after being picked up by HarperCollins, I think that one of the biggest and most unique ways that the word has spread is through my visits to schools. I usually give presentations to 3rd through 6th graders, occasionally older and occasionally younger. In these presentations, I talk about what my book is about, and describe the ways that Minecraft inspired me to write. I use my books as an example as I talk about how to develop a plot, and how to go about evolving it from an idea to a piece of written work. These talks are effective because the students are happy to pay attention because the talk is about Minecraft, while the teachers are happy that the students are learning about writing and story structure. The target audience of the Elementia Chronicles is between ages 8 and 12. 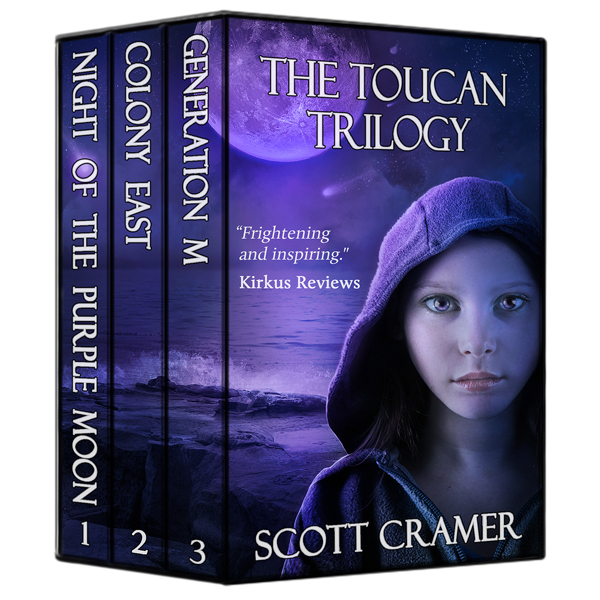 However, while that is the demographic in which the series has been the most popular, I have heard from many teenagers, as well as some adults and parents of children under 8, who have all said that they have enjoyed the Elementia Chronicles. 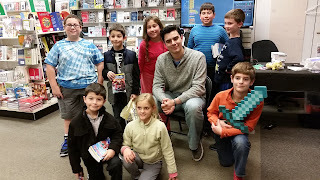 Most interestingly, many of these people have never played Minecraft, but were still able to enjoy the book. I believe that the e-format is beneficial to reaching out to everybody who might be interested in the book, whether they're in the target audience or not. Most people today own some sort of device with e-reader capabilities, and this makes the books much more accessible to people. As of right now, I'm putting the finishing touches on the third book of the Elementia Chronicles, Herobrine's Message, which is slated for release on January 26, 2015 in the United States. Since I finished writing Herobrine's Message, I've spent most of my time editing it, as well as doing promotional work for the Elementia Chronicles and schoolwork for my classes (I'm a freshman at the University of Rhode Island). My next big project is a flash game that I'm coding, which I hope to release soon to help promote the Elementia Chronicles. In terms of my next books, I currently have a stand-alone young adult novel planned, as well as a new action-adventure children's series. I may also write more book based on Minecraft in the future, including a possible spin-off or sequel to the Elementia Chronicles. Learn more about Sean and his books by visiting his website, or by following him on Facebook or Twitter. THE FANTASTIC FABLE OF PETER ABLE: Kindle Teens Certainly Think It's Fantastic! The Fantastic Fable of Peter Able by Natalie Grigson hit the number 2 spot in the Teen & Young Adult section of the Amazon Kindle store on September 26th. 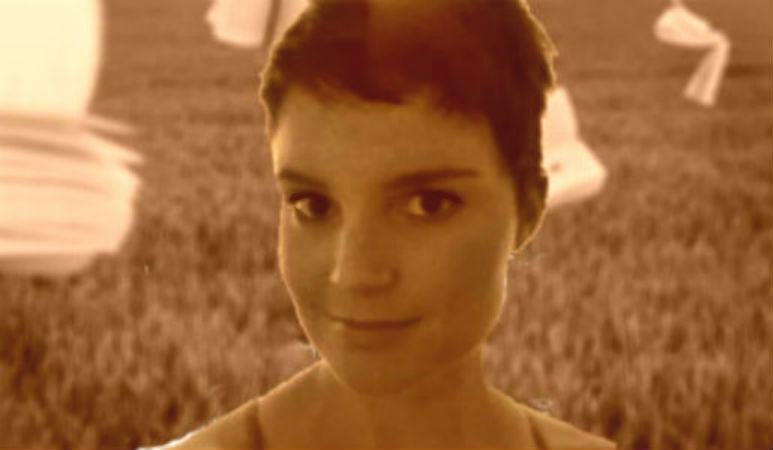 It's her debut novel, and she's currently at work on book #2 of what she plans to be a trilogy. Read on to find out more about her e-pub success. The Fantastic Fable of Peter Able is a fantasy novel—with a twist. You see, Peter is a Boy Wizard, albeit, an 18-year-old Boy Wizard who lives in the World of Fiction. His author has abruptly concluded his series, which leaves Peter free to explore his world liberated from the almighty Plotline. Of course, the transition into free will isn’t exactly an easy one, and (as it goes in Fiction), there are plenty of twists and turns along the way. This is a book as much about the life of an ex-boy wizard as it is about the landscape of Fiction itself. You’ll see plenty of familiar faces from literature throughout, as well as many new ones, like Peter, the charming Randy, and of course, a ficus tree named Bob—who let’s be honest, doesn’t really have a face. Peter was “born,” of course, when I first wrote him about two years ago. Since then, he’s visited various literary agencies and many a publisher’s office, but finally found his home at Kindle Press. I entered the Fantastic Fable of Peter Able in the Kindle Scout competition, not really expecting much, but ended up winning. With that, Kindle Press published the book on June 30, 2015. Here we are just three months later and things seem to be on the up and up for Peter. Personally, I think that no matter what format—be it on a printed page, an e-reader of some kind, a chalk on a board, or writing on a wall*—reading is reading. I, myself, used to swear I’d never buy an e-reader. Oh, the sanctity of books! Oh, the feel of the page! And yes, I do still love books, but once I started traveling a lot, a Kindle became necessary. Now, I read almost everything I can on it, and unless your e-book happens to be on a glaring, bright white screen or littered with puppy videos, I don’t see why comprehension should be lessened. *Don’t write on your walls. Your parents will send me angry emails, and I’m busy watching puppy videos. Peter Able is a book for booklovers. Fantasy, Humor, Mystery, or even just Fiction in general; the story is dotted with literary devices and, to a degree, “in-jokes” for those who love to read. The e-book format is perfect for this audience, because if you’re a person who simply can’t read enough, you probably have an e-reader of some kind. And if you don’t, well, you should. You’ll save a ton of money. These days I’m finishing up the final edits to the second in the Peter Able trilogy. As far as a schedule goes, I’ve found that my writing seems to flow the best upon waking up—before thinking all that much, before talking to anyone, but definitely after tea. From there, I generally just write until I get to a good stopping point, or simply can’t sit still any longer. Either way, it’s generally about three to four hours of non-stop writing. And then I go out into the real world and expend all of my pent up energy like dog on wheels, and do it all again the next day. Learn more about Natalie and her writing by visiting her Amazon author page or by following her on Facebook, Twitter or Goodreads. See the latest Kids' EBook Bestseller List for more top ten e-format authors and their books. It's updated every Saturday. Check back next week when my featured author will be Scott Cramer. On August 29th, Haunted by Ophelia Julien hit the number 2 spot in the Teen section of the Amazon Kindle store. Fortunately, the next Saturday available when Ophelia finished her interview was today -- Halloween! It's the perfect day to feature her supernatural suspense story. Haunted tells the story of Cassie Valentine and Michael Penfield, both of whom are dealing with grief and loss, and who run into each other again when Michael is hired by the bookstore where Cassie works. The bookstore's owner has a Ghost Story Night every Thursday when staff and a few regular customers get together to share a scary story. The book opens when Michael, as the new hire, tells a ghost story, one that involves Cassie, and that accidentally starts the two on investigating the haunting at Cassie's new house, as well as a 30-year old murder. It is the first in the Bridgeton Park Cemetery Series, which features that cemetery in every book. Yes to both parts of both questions! I am traditionally published for two books, Saving Jake and Ghosts of Lake Michigan, and self-published on Amazon for The Bridgeton Park Cemetery Series as well as a short story called Hunting Spirits. I am grateful for the traditional publishers who took a chance on me, but much prefer self-publication at this point. I have a fairy godmother! A very successful writer named Terri Reid took me under her wing and has taught me so much about marketing and the self-publishing business in general. Another fellow writer, Donnie Light, has also done more for my work than I could ever thank him for in one lifetime. Because Terri Reid is so well-known with her readers (international, too! ), whenever I put out a book and she lets her readers know about it, my sales get a nice boost. I am on FaceBook and have a website and a blog. I also have an Author Page with Amazon. I know I should be using Twitter more but I am just starting to get around to that! Wow, I can't speak to that. I don't know if they are reading more and comprehending less. My grandson and I still read the old-fashioned way (library books) but he is also very savvy on the computer. I worry sometimes about so much going online, but a lot of kids I've met at school visits still liked having a print copy of my book to hang onto. I basically write for the YA market, but somehow, the demographic of my audience tends toward women -and some men- in their twenties and up. I haven't figured that out yet! But the e-format is great for them. I sell more e-books than print copies. I was scared to death to try e-publishing and it took a few months and a lot of encouragement from various people to take the plunge. I thought e-publishing meant giving up the idea of ever seeing my book on a shelf or ever becoming a best-seller. I was wrong! My initial thoughts were based on fear of the unknown. Now that I know better, I am thrilled that I did it. I never would have expected to have the sales I did last weekend from a one-day book promo. Something I never would have predicted: ranking ABOVE Stephen King (one of my all-time heroes) in at least one Amazon category of fiction and holding that rank for several days. Also, having a few hours where my book was outselling Harper Lee. I mean, how does that happen to someone like me?? My writing schedule is more chaotic than I would like and I am trying to get that under control. I am currently working on a sequel to Saving Jake that will be a free Kindle download off of my website, while developing the story line for the next (fourth) Bridgeton Park Cemetery Book. I believe e-publishing is going to become more popular for children and young adults, but I doubt it will completely replace print publishing. I see too many kids at the library, all ages including the young ones who will be school age in 5 years, and they seem plenty happy with print books. I think that unless the technology develops to make picture books into e-books without sacrificing the experience of holding a brand new and frequently huge picture book in hand, print will still be around. And I'm glad. E-format helps me, definitely. There is a very narrow entryway to the big distributors that feed the big book stores. A small author like me, who is not agent-represented or the protege of a big NY publishing house doesn't stand much of a chance at getting my book into the hands of readers. E-format has opened a new pathway for reaching my audience. I don't know about children, to tell you the truth. I think picture books should be in print and I hope they stay that way. As for young adult readers, I know they'd be fine with e-format. Heck, our local high school has most of the textbooks on e-readers. The kids growing up with the technology are already reading books in e-format. Learn more about Ophelia and her books by visiting her website and blog, or by following her on Facebook and Twitter. See the latest Kids' EBook Bestseller List for more top ten e-format authors and their books. It's updated every Saturday. 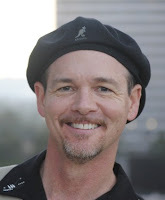 Check back next week when my featured author will be Craig Halloran. On Saturday, August 29th Clark the Shark by Bruce Hale hit the number 9 spot in the Kids' section of the Barnes and Noble Nook store AND the number 7 spot in the Kids' section of the iBook store. Bruce is the author and illustrator of dozens of books for kids: picture books, novels and graphic novel. He joins us today to talk about his double top-ten success. First let's hear what Clark the Shark is about. Clark is a shark with zing, bang, and BOOM! He zooms through the classroom and is rowdy at recess. Clark loves life — but when his enthusiasm proves too much for his friends, Clark’s teacher, Mrs. Inkydink, helps him figure out how to tone it down. I started self-publishing back in the ‘90s, before digital books, and moved into conventional publishing in 2000 with the debut of my Chet Gecko Mysteries series. Including my self-published work, I’ve now got over 35 books out there, which continues to amaze me. It was my publisher’s idea, but I was completely on-board. It only makes sense to offer books in different formats. Although I sometimes revise in the mornings, I write every afternoon from lunch until dinner. 4-5 hours is about the limit of my brain freshness. Right now I’m working on the third book of a middle-grade series that debuts next year: The Monstertown Mysteries. I believe the e-format helps authors. What’s most important is the story, not the format — after all, story is story, whether it’s told around the campfire, printed in a book, or appearing on a digital device. So if some kids prefer reading e-books and my work appears in that format, it just helps my tale reach a wider readership. And that’s a good thing. Learn more about Bruce and his books by visiting his author website. He also has a separate site for a series he wrote, School for S.P.I.E.S. You can also follow him on Twitter. See the latest Kids' EBook Bestseller List for more top ten e-format authors and their books. It's updated every Saturday. Check back next week when my featured author will be Ophelia Julien.